New Zealand Prime Minister John Key has ordered an inquiry into the Government Communications Security Bureau (the country’s equivalent of the FBI) concerning the wiretapping of individuals in the Megaupload case. It is believed that the GCSB acted unlawfully while helping police locate some targets leading up to the raid on Dotcom’s mansion earlier this year. According to a report from the Prime Minister’s office, the GCSB allegedly acquired communications without prior approval from necessary authorities in some instances. Key was first informed of the incident by the director of the GCSB on September 17. The Prime Minister has since put Inspector-General of Intelligence and Security Hon Paul Neazor in charge of the investigation. Key’s news release points out that the Inspector-General is an independent officer that has the power to investigate any issue related to government intelligence agencies and their compliance with the law. Key expressed disappointment in the fact that unlawful actions had taken place and further asked Neazor to look into measures that could be used to prevent such an incident from happening again. In other Megaupload news, a series of tweets from Dotcom suggest a new Megaupload website will be launching in the near future. He said the code is 90 percent complete and that servers are on the way. 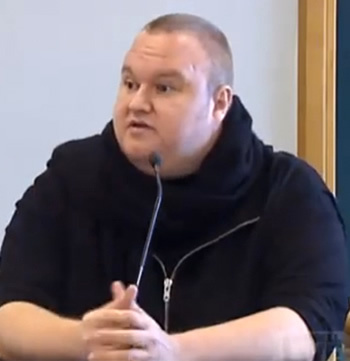 Dotcom further points out that lawyers, partners and investors are all ready for the new site to go live. The new Megaupload is expected to be even larger and more diverse than the original.